China's Xiong Jingnan will take on Singaporean Angela Lee to defend her ONE Championship strawweight title in Tokyo on March 31. 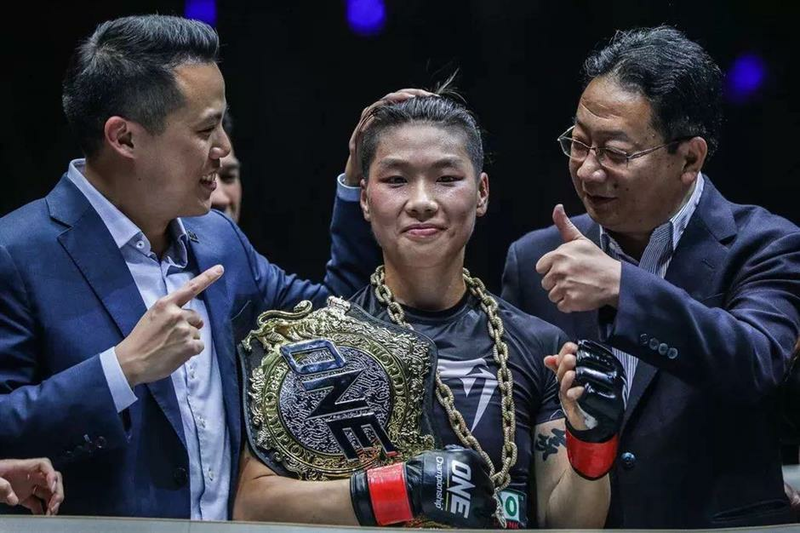 China's mixed martial arts star Xiong Jingnan is 100 percent ready for her ONE Championship strawweight title defense in Tokyo at the end of this month but has asked her opponent Angela Lee not to "back out again" this time. The clash between Asia's top two female martial arts athletes was first scheduled for November in Singapore. However, it got postponed after ONE women's atomweight world champion Lee pulled out, citing injury. "The cancellation of our last fight did cause some mental effect, but I have managed to readjust my focus," said Xiong. "I am fully prepared now and 100 percent ready for the fight." The new fight has been scheduled for March 31 in the Japanese capital. Both athletes are elite competitors with well-rounded skill sets. A win would secure Xiong's place as the best female mixed martial artist in Asia, though her Singaporean challenger also has her eyes on the same prize. Lee, who owns a 9-0 record in ONE, is hoping to become the first two-division ONE women's world champion with a win in Tokyo. Xiong became China's first gold belt holder in the championship in January 2018, followed by two successful defenses. The 31-year-old Shandong Province native's aggressive style and straightforward personality have drawn an increasing legion of followers in China and across Asia. Having spent months training in Bali, Indonesia, Xiong said she is hoping to knock out her opponent while giving full play to her wrestling and jujitsu skills. "It will be an even larger stage in Tokyo, and I want to KO her (Lee) even more," said Xiong. "I believe that as an athlete with quality, she will not back out again this time."